This nearly 41-footer (12.37-meter) may look like a boat built in a bygone era. However, she’s every inch a modern craft—a modern megayacht’s tender, in fact. Spirit Yachts is custom-constructing her, a.k.a. 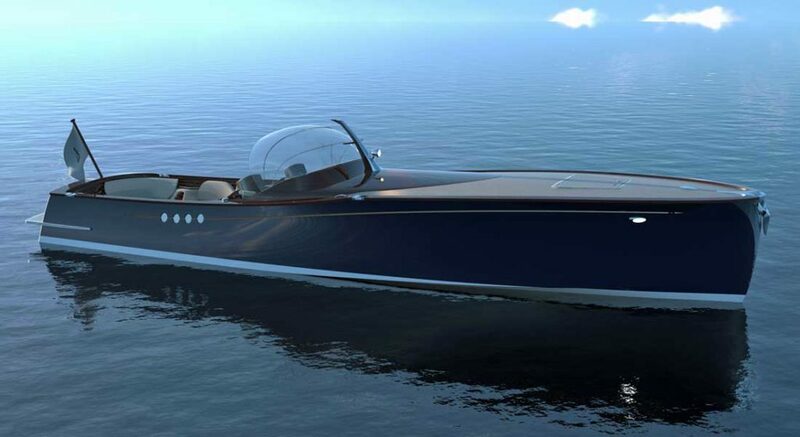 the Spirit P40, as a stylish companion to an unnamed yacht. When build starts later this year, the Spirit P40 will see wood planks lay down for her hull. You read that right. “The misconception has previously been that wooden boats were slow and heavy,” explains Nigel Stuart, Spirit Yachts’ managing director. “But, Spirit Yachts’ lightweight construction, coupled with engineering expertise, means we are delivering on performance as well as style.” To that performance end, the Spirit P40 should see a maximum speed of 45 knots. Twin MerCruisers should also allow her to hit a 30-knot cruise, plus see 320 nautical miles at that pace. Come springtime 2020, the tender will start serving the needs of an owner’s party of eight. The owner wanted 1930s charm mixed with modern needs. So, for example, she’ll feature dash dials reminiscent of those of a classic airplane, or even classic automobile. The Spirit P40 also will feature varnished, curving accents in her cockpit, surrounding the owner and guests in an enviable atmosphere. Mood lighting even complements the seating. Speaking of lighting, it’s additionally incorporated into the removable mahogany and stainless steel mast. For practical purposes, meanwhile, the Spirit P40 has luggage and fender stowage forward, plus a curved windshield, the latter protecting against spray. Finally, a suite of Simrad nav and communication instruments sit at the helm. 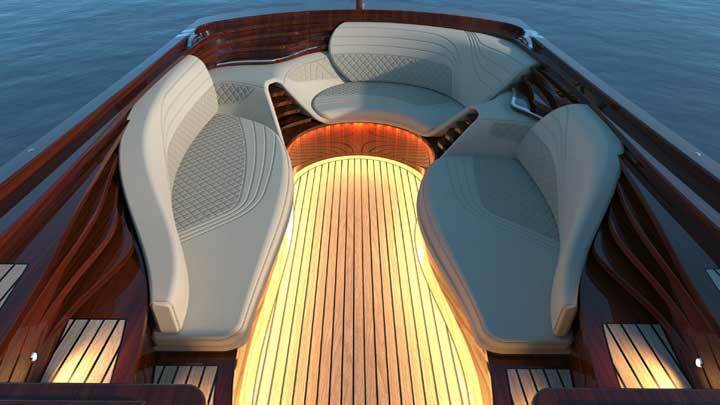 Because the tender won’t simply shuttle guests to and from shore, Spirit Yachts is incorporating additional features. The boat will accommodate a bimini and removable poles to support it, over the aft leather seating, for instance. If guests want to go for a dip, a swim ladder will fold down off the boarding/swim platform. They can even go waterskiing, thanks to two ski two brackets. On hot or inclement days, the Spirit P40 cocoons them in air-conditioned comfort inside. Cocktails await inside, too, thanks to a mahogany bar. Turn on some music via the Fusion marine stereo, and what more could they want? Well, one more thing: underwater lighting, to accentuate the Spirit P40 at night.